Hiya! Interesting site. Anyway, drugstore.com doesnt appear to ship to Malaysia so how did you get them to ship them to you. Are you even located in Malaysia? The Giddy Tigress says: If I am not mistaken, they do ship internationally now, even to Malaysia, but the shipping charges might be expensive. I am from Malaysia but currently relocated to the US for a few months. 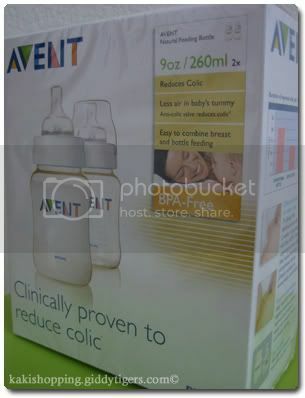 Nanipoo Diapers – sure, they are suitable to be used in tropical countries like Malaysia. I have used them before when I was in Malaysia. 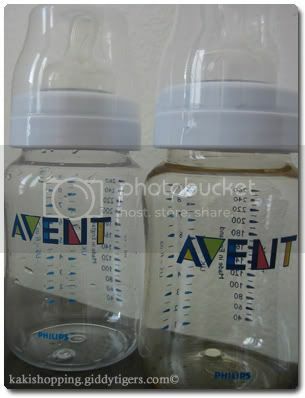 Avent BPA Free bottles are now available in Subang Parade ina new babay shop next to ToyRUs – cannot remember the name and cost is about 2x the old type ones.